Hello and Welcome to the North Central Regional Sun Grant Website. 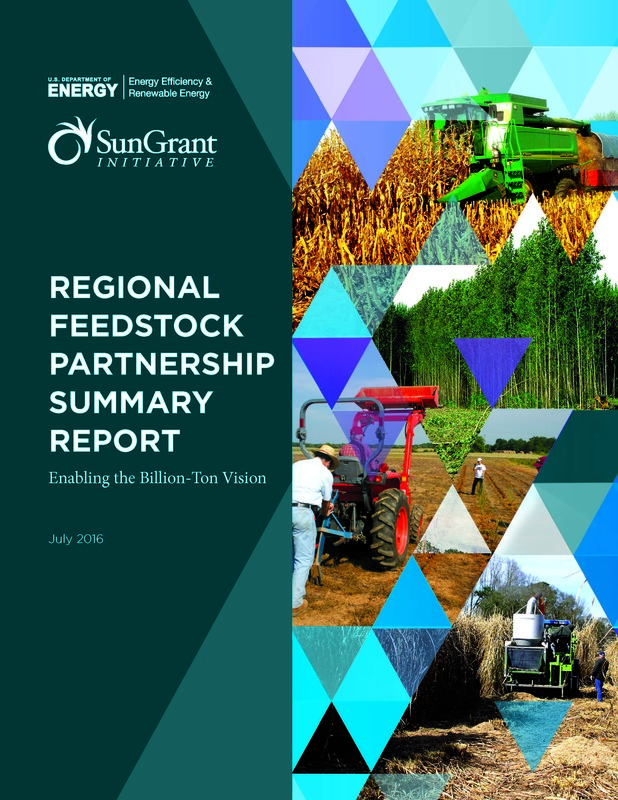 Featured content: Download the recently released Regional Feedstock Partnership Summary Report: Enabling the Billion-Ton Vision. A four-leaf clover might bring good luck, but a stand of Kura clover can produce healthier soil—in the long run, according to a South Dakota State University study. Analysis of up to seven years of production data gathered through the Regional Feedstock Partnership, established by the U.S. Department Energy and the Sun Grant Initiative supports the U.S. Department of Energy billon-ton annual production estimate by 2030. Entomologists will find it easier to identify parasitic wasps and their host aphids, thanks to the work of SDSU entomologist Paul Johnson and forage breeder Arvid Boe. 25th lecturer in the Lardy Distinguished Lecture Series. This is the public lecture. A scientific lecture will be given to the Department of Chemistry and Biochemistry on Tuesday April 23rd at 12pm. As a consultant pharmacist with Avera long term care, Anna will be discussing regulations imposed on long term care facilities and how pharmacists help attain those requirements. TurningPoint web offers new capabilities to schedule surveys and assessments that provide interactive content at any time without the need for a live polling session.